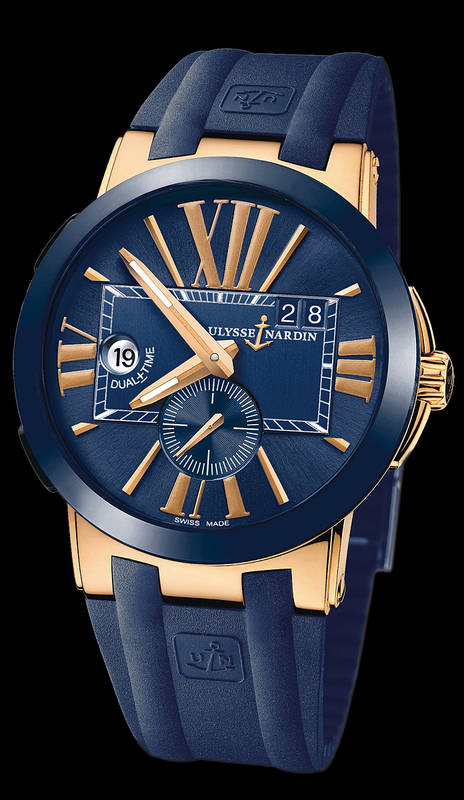 It is a GMT Dual Time, 43mm, polished rose gold case, blue ceramic bezel, automatic movement, big date, and features a glass exhibition case back with a 22KT rose gold rotor etched with the Ulysse Nardin name and anchor logo. This watch displays two different time zones at all times. It is shown on a sporty blue rubber strap, with ceramic folding buckle. Join us on Instagram and Facebook We’d love to have you!